Marie is a waitress at an upscale Dallas steakhouse, attuned to the appetites of her patrons and gifted at hiding her private struggle as a young single mother behind an easy smile and a crisp white apron. It’s a world of long hours and late nights, and Marie often gives in to self-destructive impulses, losing herself in a tangle of bodies and urgent highs as her desire for obliteration competes with a stubborn will to survive. 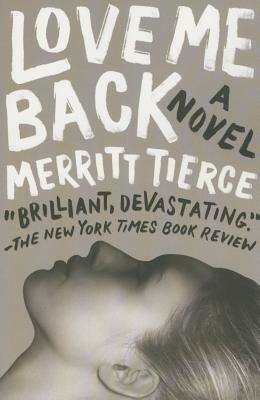 Pulsing with a fierce and feral energy, Love Me Back is an unapologetic portrait of a woman cutting a precarious path through early adulthood and the herald of a powerful new voice in American fiction. Merritt Tierce, a National Book Foundation 5 Under 35 honoree, was born and raised in Texas, and graduated from college at the age of 19. She received her MFA in fiction writing from the Iowa Writers' Workshop, where she was named a Meta Rosenberg Fellow. In 2011, she was a recipient of a Rona Jaffe Foundation Writers' Award and in 2019 she received a Whiting Award. Merritt lives near Dallas with her husband and children.